NOTE: I received a copy of this book from NetGalley. This review is my honest opinion of the book. "No one inside the snow globe knows that Morozoko Industries is controlling their weather, testing them to form a stronger race that can survive the fall out from the bombs being dropped in the outside world—all they know is that they must survive the harsh Winter that lasts a month and use the few days of Spring, Summer, and Fall to gather enough supplies to survive. When the seasons start shifting, Genesis and her boyfriend, Jack, know something has gone wrong. As their team begins to find technology that they don’t have access to inside their snow globe of a world, it looks more and more like one of their own is working against them. Genesis soon discovers Morozoko Industries is to blame, but when a foreign enemy tries to destroy their weather program to make sure their destructive life-altering bombs succeed in destroying the outside world, their only chance is to shut down the machine that is spinning out of control and save the lives of everyone inside the bunker--at any cost." This is something of a light dystopian/science fiction novel written in a simple style that young teenagers might find appealing. The concept was interesting enough, but the execution fell a bit flat. There were far too many mild romance scenes inserted randomly throughout that detracted from the story. There were also too many unanswere questions or missed opportunities for extended world building. The characters also have done with a bit more personality and conflict - especially the group of secondary characters. They came across as docile sheep, following whatever instructions are given without question and not even twitching when they find out their world wasn't what they thought it was. The writing of the first half of the novel was a bit stilted, almost like a novice writer. The second half picked up pace and intensity. This wasn't a bad book, but it could have been better. Another childhood read - apparently I'm still on a roll with those. This is a Dover paperback from 1969, and I've lost track of how many times I read as a child. It wasn't until this reread that I really thought about how I've never known how to pronounce any of these names - and still have no clue. Names like Pokati-Goroshek, Pilipka, Hiysi, and Altyn-Saka. Even my favorite - Basil Fet-Frumos - I'd remembered as Fret-Frumos. 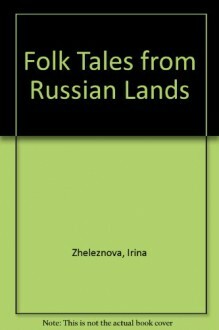 I'd also never thought to look up Irina Zheleznova, who selected and translated the stories in this book. She doesn't seem to have a website (in English, that I could find that is), but if you check her name on any book site you'll find lots of material. I think there are a lot of children that have her to thank for introducing us to these fairy tales. It's thanks to her that I know what a yurt is! But since there were no web images to look up back then I only had a sketchy idea of what they looked like. And I'm only now looking up how you play the game of knucklebones (which is mentioned in a lot of folktales around the world). But then I bet there are a lot of kids now who've never heard of the game of jacks (I was not good at it, I preferred to spin them). The witch Baba Yaga always confused me. In some stories she's - well, not nice exactly - but you can go ask her for advice and she won't immediately try to kill you. While in other stories she will indeed immediately try to kill you. It's actually thanks to Baba Yaga that I remembered this book, come to think of it. A few days ago I was randomly looking at things on youtube (the ol' one vid leads to another game) and found myself remembering the 1964 film Jack Frost - a Soviet film originally called Morózko. I'd seen it in the 1970s when a midwestern tv channel would schedule dubbed foreign films for their weekly Children's Theatre show. Which resulted in me watching some really bad and weird foreign children's films. For some reason I fell in love with this particular film - I'm betting it has something to do with Father Mushroom, and also that Baba Yaga's house really walks (a little) on chicken legs. Anyway, I found a youtube version of the film which is much longer than the dubbed version - probably because it has singing. If you decide to actually watch some of this - Father Mushroom first appears around 14 minutes in. Maybe someone can tell me what's up with those little bell things he's always ringing. Also speaking of fashion - because Father M's hat is stylin' - check out the embroidery on everyone's outfits. Father Frost/Jack Frost's is especially fab. I envy his coat. How good a movie is this? Um, well, MST3K used it, which I think says it all. (I don't think it's one of their better episodes though.) So yes, cheese factor is high. Even thought this book is classified as Young Adult it is really more for all ages. It has a great vibe and is beautifully crafted. Many of the characters are adult and only two are actually teens. This is the follow-up to Claus and it was really terrific. The way the story jumped ahead to modern times was wonderful. I loved seeing how the world evolved and the Elven Pawn adapted to being with humans. I have found when reading Mr Bertauski that there are many layers to the story. They are woven together and information is doled out like sweet treats in small doses. I never really guess all the intricacies that make up the whole. With the first book I never quite caught on to what the end result and that made it thrilling. I love when a book can surprise me! The narrative is mixed and has many voices, while most of it is from Sura's POV, you get a real feel for all the characters. It helps make a fuller more realized world with intricate characters. I loved Sura's strength, Jo's loyalty, Mr Frost with his plans and Jack who is very complicated. I was a touch disappointed that Jack lost all the growth he had at the end of the last book. He was more annoying than he had been, there was just something in the last book that was missing, the thing that kept him likable. The story this time felt slower, there was a lot of exposition to cover and that tended make the pace drag. It is all necessary, just a bit slower than I usually like. It all comes together in the end. The last quarter of the book really picked up considerably. It is all worth it when all those little details come together to bring up the big finish. So many subplots made it almost impossible to guess how things would turn out! Again, love that surprise! I listened to the audiobook which is narrated by James Robert Killavey, who did such a great job on the first book. He has a real feel for all the characters and the idiosyncrasies that make them up. He manages to match Jack beautifully and keeps him annoying with his grating tones. He has a great pace in his read that helps move the story along at slower moments. Really fantastic combination of reader and story!! 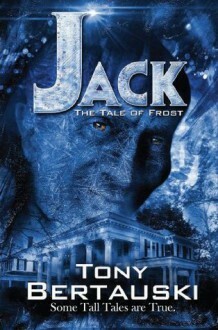 Overall, I enjoyed this modern retelling of the Jack Frost myth and the way it connects with the first book. Beautiful storytelling that surprises and delights at every turn. I have been enchanted by these books and definitely plan to check out other works by this inventive author! [I got a copy through NetGalley, in exchange for an honest review. 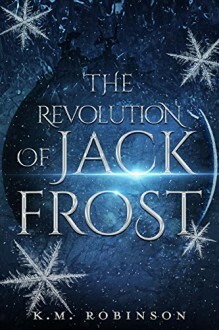 There were beautiful things in this story, some of them in their sadness (Frost’s part, Sura), some comical, some that were both (Jack’s time among the humans, their instant rejection and his subsequent obnoxious ways). The plot itself also spins a very particular tale, and if you haven’t read Claus, then you’re going to miss on several details and connections. I guess the main problem for me was that I felt disconnected from the characters, and would have wanted to get to know them more, “walk” with them some more—especially for the last 20%, when light is shed on several aspects of the plan. Perhaps I also wanted Sura and Joe to play more of a part in it? It’s hard to tell, but it made me feel frustrated. On the writing side, I noticed a few jarring tense shifts now and then. However, as I said, I don’t know if my copy was the final release, or an ARC, so those may not remain in the published product.